Joseph Maria Olbrich designed the building at the end of the 19th century as an exhibition building for the artists' group Wiener Secession, of which he was the founding president. “The frothy golden ball” is how the Viennese lovingly refer to the gilt laurel leaf dome which crowns one of the best-known Art Nouveau buildings there is. In the late 19th century Joseph Maria Olbrich designed the snow-white structure as an exhibition building for the Vienna Secession group of artists, whose founding president he was. 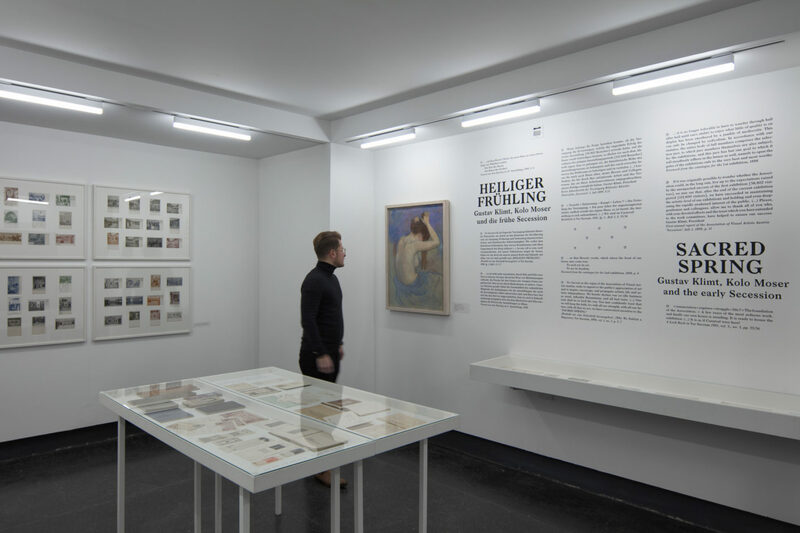 Located in a prominent position on Wienzeile and directly next to Naschmarkt, the exhibition venue is even today one of the first attractions tourists to Vienna like to visit. And the building is also something special for those who have the good fortune to actually live in the Austrian capital. The atmosphere in the Secession Building is calm and bright, with natural daylight pouring into the white exhibition space through long wall openings. Olbrich gave light a decisive role in the architecture and created spaces in which people and the works are happy to linger. 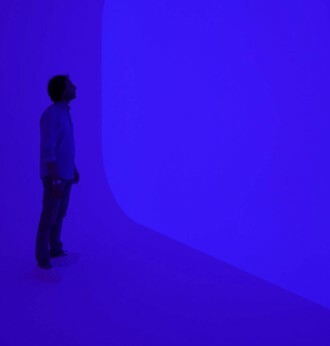 In order for visitors to the building to be able to experience the pleasant feeling of immersing themselves in a gentle lighting ambience, a modern approach was needed for the artificial lighting in the evening and on dark winter days. As part of the general refurbishment of the Secession Building, Vienna-based architect Adolf Krischanitz and Zumtobel developed a new lighting concept. 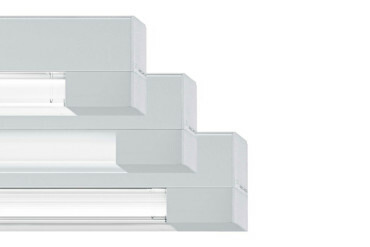 “Tecton slim tunableWhite” is the name of the new lighting solution, which delivers even brightness by means of LED luminaires in the form of an illuminated ceiling. In terms of its color temperature, the ceiling can be adapted such that the impression is of natural daylight. It is as if the main exhibition space, a textbook white cube, has a skylight. 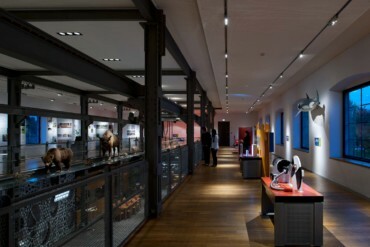 "Tecton slim tunable White" is the name of Zumtobel's special lighting solution, which uses LED luminaires to provide uniform brightness for the exhibition space. The gallery too shines in a new light: In the long space with vaulted ceilings Zumtobel mounted “Linaria tunableWhite” LED light lines in tracks on the crest of the vaults. 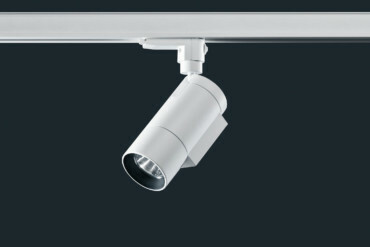 The slender luminaires illuminate the wall-mounted exhibits perfectly. Furthermore, by virtue of being mounted on the ceiling they emphasize the alignment of the long exhibition space and accompany visitors through the exhibition. And if stronger lighting is needed for particular works, “Arcos tunableWhite” LED spotlights can be simply clicked into the tracks. 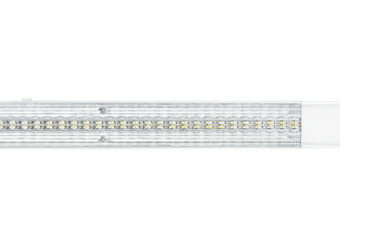 The narrow light sources of the "Linaria tunableWhite" LED line lights illuminate the wall-mounted exhibits perfectly. 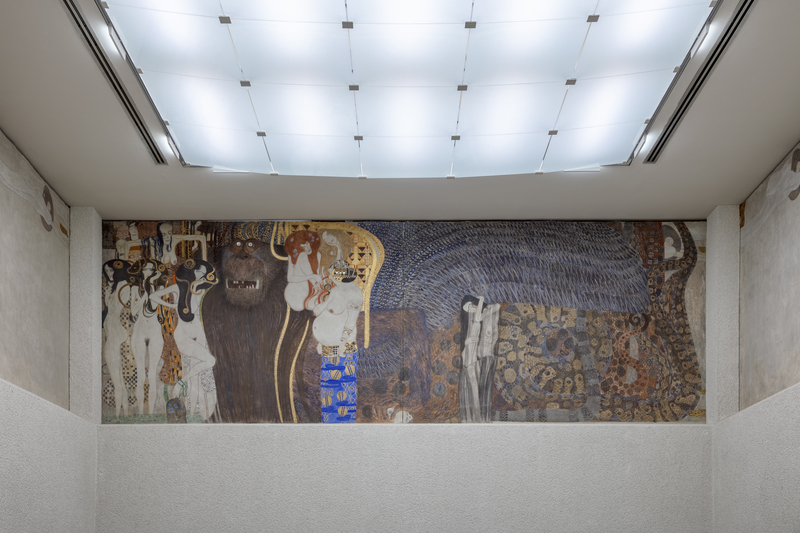 The museum’s gem is in the basement, Gustav Klimt’s “Beethoven Frieze,” a 34-meter mural dating from 1902 that is devoted to the composer Ludwig van Beethoven’s last completed symphony. 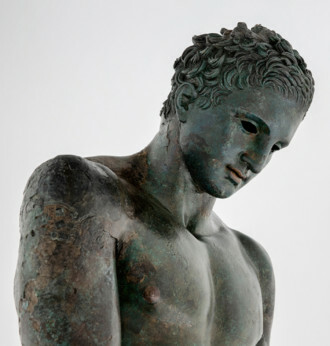 Anyone who has ever been to an exhibition space knows how crucial the right lighting is for the impact a work makes. In the case of Klimt all the more so, because even if the immense frieze has a dramatic effect in itself, it is only through the incidence of light that the fine details, shining gold and silver sections, glass buttons, and small mirrored panels fully come into their own. 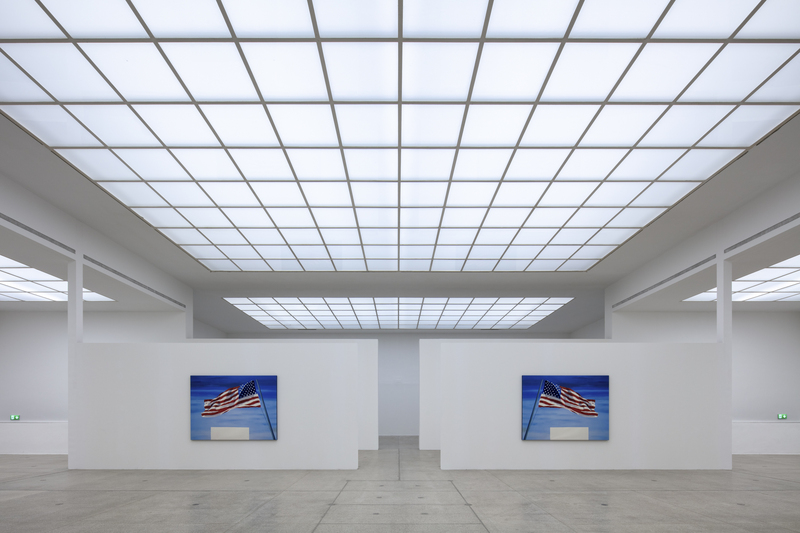 “Tecton slim tunableWhite” LED luminaires by Zumtobel gently illuminate the ceiling of the high room, while “Supersystem II” LED spotlights immerse the “Beethoven Frieze” in direct light. The mixture of diffuse lighting and clear highlights creates a three-dimensional effect for Gustav Klimt’s series of pictures. Unwanted reflections and flickering are not an issue with Zumtobel luminaires, and this accentuates the work all the more. 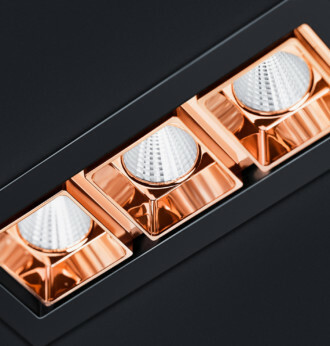 Zumtobel's "Tecton slim tunableWhite" LED luminaires illuminate the ceiling of the room, while "Supersystem II" LED spotlights cast direct light on the Beethoven frieze. 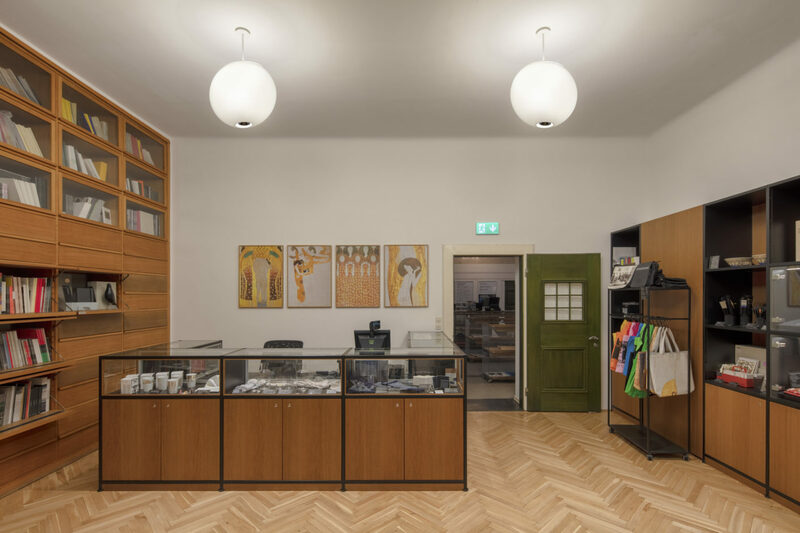 The museum shop at the end of the journey of discovery through the exhibition space, which measures a good 1,000 square meters, is illuminated by “Alva” pendant luminaires, which the architects Hermann Czech and Adolf Krischanitz developed together for Zumtobel. 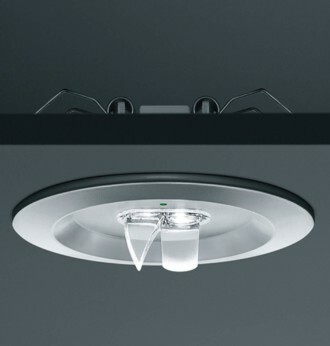 The glass spheres deliver indirect, soft illumination, while integrated LED downlights project fine accents. All the lighting effects, from diffuse to direct, can be controlled independently of one another. The “Alva” luminaire is part of Zumtobel’s “the editions” special collection, an annual selection of customized, limited-edition luminaires. 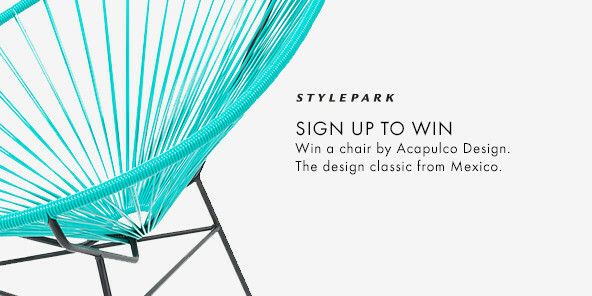 With it, Zumtobel underscores its close collaboration with architects and light planners. 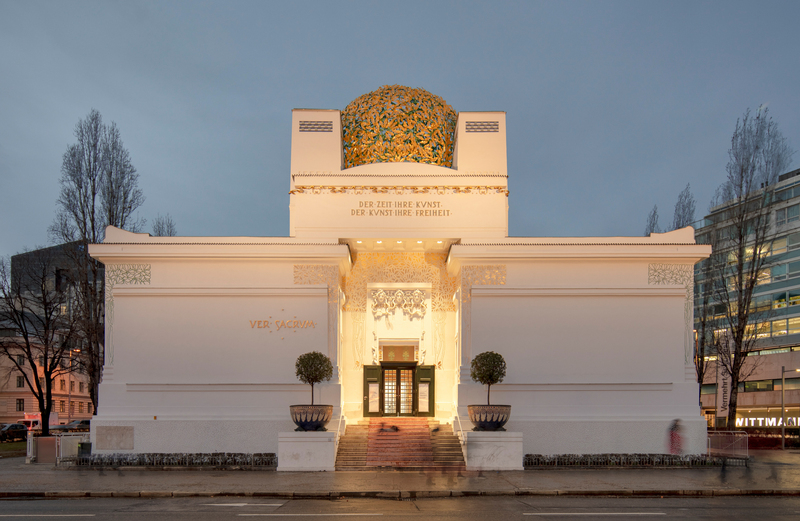 In this way Zumtobel has, with sensitivity and flexibility, created in the Secession Building individual lighting solutions that underscore the famous motto of the Viennese artists’ association, “To every age its art, to every art its freedom,” which bids farewell from the building’s portal. The spherical glass bodies of the "Alva" luminaires set fine accents with integrated LED downlights and at the same time provide indirect, soft light.